Camping This Spring? Why You Need A Rooftop Tent! Spring is fast-approaching and this could mean it's time for lovers of spring camping to set about going outdoors for their lovely adventures. Camping in spring and just any other season can be interesting but again, you really have to prepare against downpours, sweltering sun, nasty bugs, strong wind and certain other downsides to camping. If you've had any reason to give up using traditional ground-tents for camping, this might be the best time to get a jeep roof top tent for your next camping adventure. With that said, below are the reasons why you need a rooftop tent for camping. It could be somewhat awkward to stay dry while camping particularly in a spring season characterized by downpours. To keep you protected from the unpleasant splashes of water you might experience while sleep-camping, a rooftop tent (such as the ARB tent) is strongly built to withstand any extreme weather conditions including fierce winds and tropical downpours. Camping with such a tent can guarantee you maximum safety against snow or just any unpleasant weather condition during a spring season. Safety from Critters, Bugs, etc. No one really wants their camping adventure marred by unpleasant creatures such as bugs and critters spread around North America and Australia. While ground-tents can be nice in certain situations, they don't seem great as regards keeping you away from these nasty creatures. Sleeping in a ground-tent might not guarantee you absolute safety from night-time rodents and several other nasty creatures. While on an extended camping trip, you readily know how much you'll have to endure nasty weather conditions; perhaps you're on a three-month trip through several American campgrounds. Quite frankly, rooftops do offer comfort which makes camping a convenient adventure for campers who would like to spend weeks or months in their vehicles. Some campers may have argued that their rooftop tents are somewhat tricky to install but it's still clear that many rooftop tents are designed for convenient installation. In fact, some of them are duly attached to the vehicles of their owners and so, there's no need taking them down. 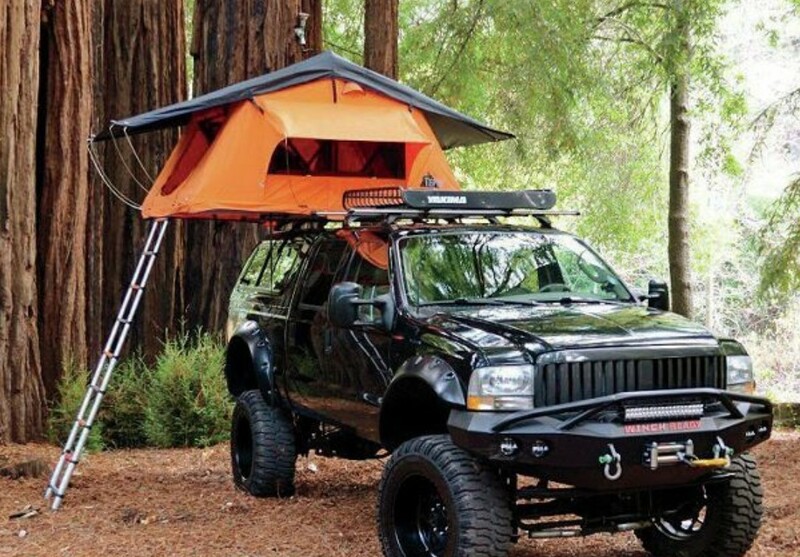 According to Harry, a lover of rooftop tent camping, having a rooftop tent attached to your vehicle keeps away the hitch of installing the traditional ground tent. Needless to say, camping with a rooftop tent in Spring or just any other season barely requires you to worry about where to camp: you can go camping anywhere it pleases you and even rest assured that nothing bad will happen. Whether there are people around you or not, you have no worries since you're staying overland in a rooftop tent that gives you comfort and keep hazardous things away from you. For additional safety, you can have a 4x4 winch to get out of sticky situations in camping trips. There are many varieties of rooftop tents and this means you can have many options at your disposal while deciding what should suit your Spring camping. If you're trying to make provisions for just any weather conditions (such as inclement weather and hot humid weather) that you might encounter, you could opt for Tepui Baja Series. Interestingly, the rooftop tents here feature canopies which can be changed in order to suit the current weather condition.